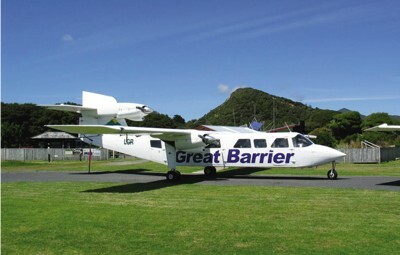 Great Barrier Travel meet all flights into Claris airfield and ferries arriving at Tryphena wharf. With depots in Tryphena, Claris and Port Fitzroy we offer a transport network unmatched by any other operator on the island. We have a variety of vehicle sizes enabling us to cater for any size group and with passengers with large amounts of luggage. Catch a scheduled transfer service or call us to arrange a private transfer. Getting from the airport: A 12.00pm service departs Claris airport for Tryphena via Medlands Beach, arriving at 12.20pm. Getting to the airport: A 9.40am service departs Tryphena arriving at Okiwi airfield at 10.00am. Stops can be made enroute provided they are on the set route, i.e. main road. Great Barrier Travel meets all the ferries at the wharf in Tryphena. Catch a scheduled transfer service or call us to arrange a private transfer to any part of the island. Make sure you pre-book as it can be chaotic in the summer and if will make things easier if you have made arrangements in advance – that way we know you are arriving! It is possible to make transfer booking onboard the ferry once you have checked in. SeaLink pre sell transfer tickets, guaranteeing you transport to your final destination. 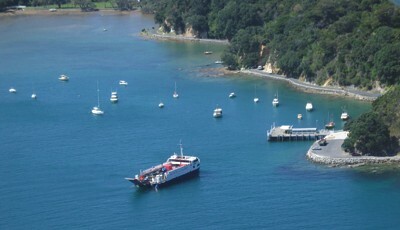 Getting to the ferry: A 12.00pm service departs Claris airport for Tryphena via Medlands Beach, arriving at 12.20pm.